This pump pulls no punches. A dramatic platform and high-shine, textural finish lift this simply silhouetted leather Yves Saint Laurent pumpnow with a lower heel. Darted crescent toe; 1 1/4" concealed platform. 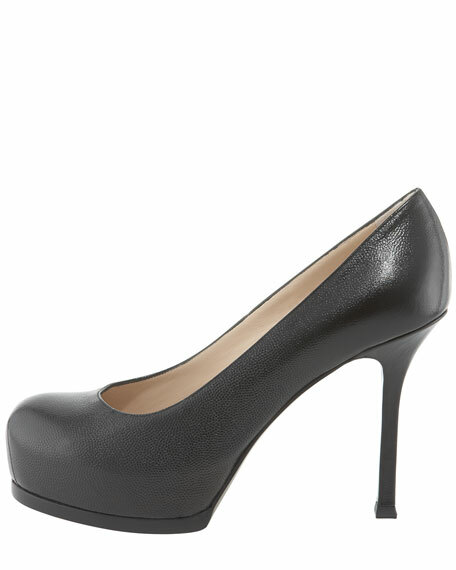 4 1/2" covered heel; 3 1/4" equiv.